As with all jailbreaks over the past couple of years, this is also a semi-tethered jailbreak. This means whenever you reboot your device you will need to follow steps 9 and 10 of the below guide to restore all jailbreak features. This is very easy though so isn’t a big problem. 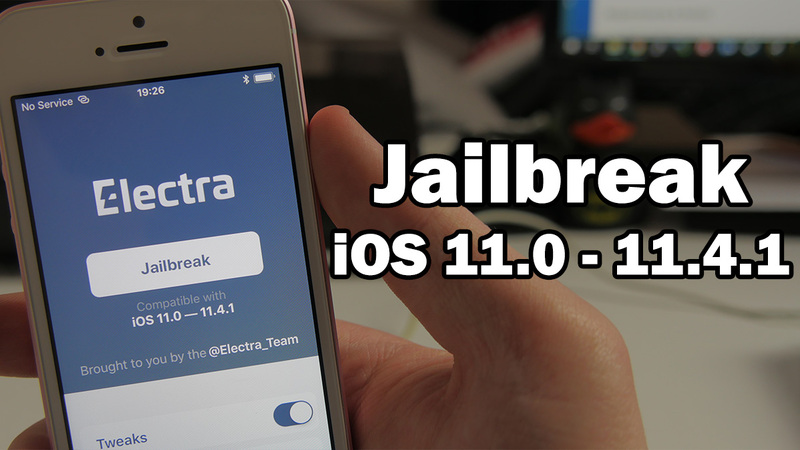 This new jailbreak is compatible with all devices that can run iOS 11. You should defiantly make sure to backup your device to iCloud or iTunes before attempting this. Download the Electra jailbreak app from the link above and save it somewhere. Then download the latest version of Cydia Impactor (a program made by saurik) for your operating system from the links above. Extract it and open the ‘Impactor’ file. Open the Electra app. You should see a white ‘jailbreak’ button. Tap on this button and the jailbreak should begin. The Electra app should now be jailbreaking your device and installing Cydia. Do NOT do anything else with the device while this is happening. If this does not work the first time, just try again until it does. As this is a Semi-Tethered jailbreak after you reboot your device all jailbreak features will be disabled. To fix this all you need to do is open the Electra app, tap the ‘jailbreak’ button, and wait a few seconds for your device to respring (do not press anything on the device in this time).